Telangana HMWSSB AFA Recruitment 2015-16: Telangana Government, Hyderabad Metropolitan Water Supply and Sewerage Board (HMWSSB) has been released the advertisement for the post of 115 Assistant Finance Accounts (AFA) posts. The applicants must check the eligibility criteria on the TSPSC HMWSSB AFA notification 2015 before fill the application form. Candidates should log on the official site at www.tspsc.gov.in as well as Indrajobinfo.co.in portal. Here you can get the direct link for the Telangana Assistant online application form. Eligible candidates should apply the TSPSC Asst Finance application form 2015 on before 19th October 2015. Aspirants who are searching the latest govt jobs in Telangana can apply the Telangana HMWSSB AFA vacancy 2015 by click the given link. The Government of Telangana has been invited the application from the eligible candidates. The date of TSPSC HMWSSB AFA online application starts form 23rd September 2015 and closing date of the application on 19th October 2015. If you have any doubt regarding the Telangana HMWSSB AFA Recruitment 2015 notification and then you have to leave the comment to us. Our team member will response your query very soon. 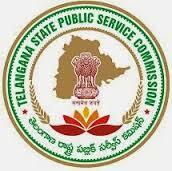 Further details of TSPSC Assistant Finance jobs 2015 like age limit, academic qualification, selection procedure, how to apply and other information information are available on our Indrajobinfo. Aspirants selection in Telangana HMWSSB AFA recruitment 2015 will be based on the following criteria. The age limit of the candidates should minimum 18 years and maximum 44 year as on closing date of the application. Then upper age limit relaxation for the reserved applicants as per the govt norms. Applicants who have possess the B.Com or its equivalent academic educational qualification from a recognized university/institute can eligible to apply the Telangana HMWSSB AFA recruitment 2015-16. They must have the computer knowledge. The general candidates have to pay Rs. 80 for the application fee. There is no application fee for ST/SC/BC/Ex-Service/PWD applicants. Pay Scale: Rs. 16, 400/- to Rs. 49, 870/- pm. Date of Telangana HMWSSB AFA exam: 29th Nov 2015. Telangana HMWSSB AFA Apply Online Application 2015.